LEONARDO gathers bodies of people together, then spreads them out. 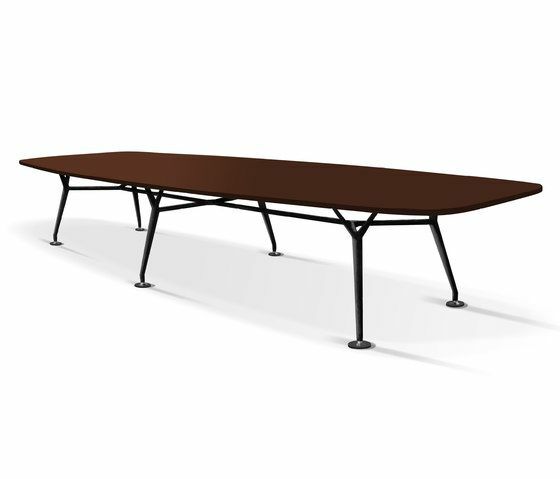 The handsome, no-nonsense conference table is available in fixed-length and extending versions. A supporting frame of cast legs and extension-leaf mechanism always remains unmoved.